M.D. Mullins Heavy Haulin, LLC. All Trailers are removable goosenecks. In 1993, M.D. Mullins Heavy Haulin' began moving equipment throughout local Northern Virginia areas. We've grown to a small fleet of specialized RGNs that travel everywhere east of the Rockies. Our dispatch center fulfills permits and other requirements to ensure loads are delivered in a timely and safe manner by experienced drivers. 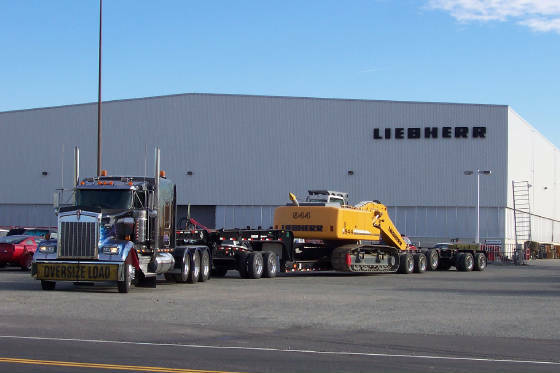 We have the right equipment to move your equipment.